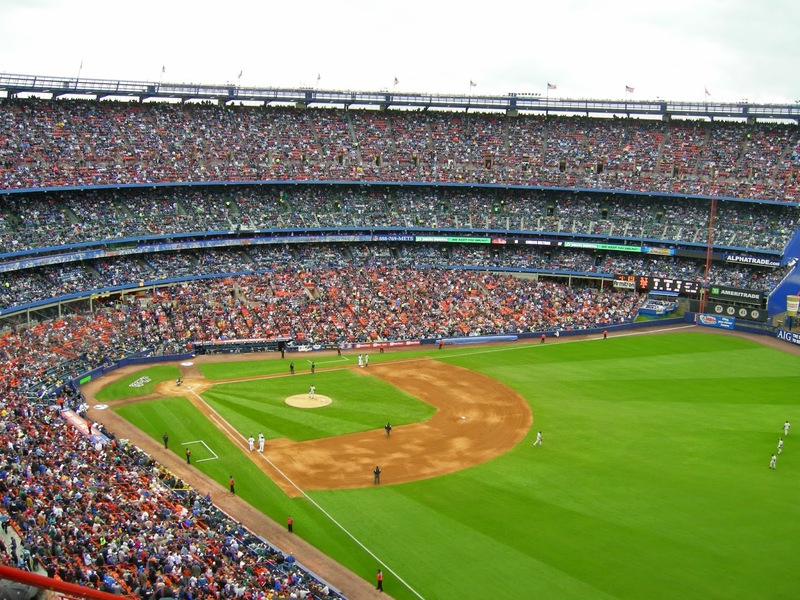 Saturday June 15th 2002: Today the Mets hosted their cross town rivals in a subway series game on an overcast day at Shea Stadium. It was a huge game, since this was the first time Roger Clemens was to come to bat, since the game was in an NL ballpark against the Mets, since the controversies between he & Mike Piazza. Back in the 2000 regular season Subway Series, Clemens had hit Piazza in the head with a pitch, laying him out at home plate. Piazza had continuously owned Clemens blasting HRs & hit after hit off the steroid ridden pitcher again & again. After the beaning Piazza missed time but returned to lead the Mets to the World Series, the first New York Subway Series since 1956. 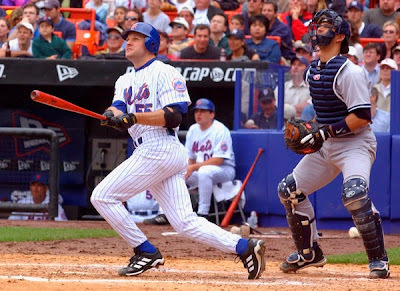 More controversy followed in Game #2 of that Series, when the two faced off & Piazza broke his bat on a pitch from Clemens. 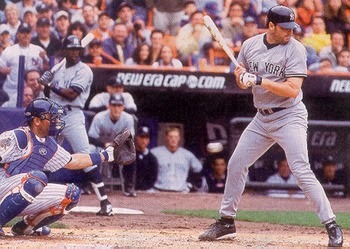 The bat barrel rolled to the mound & Clemens threw it in the direction of Piazza. Piazza walked to the mound & shouted words to Clemens but the umpire stepped in the middle. It was a big game so cooler heads prevailed. Fast forward to June 2002. 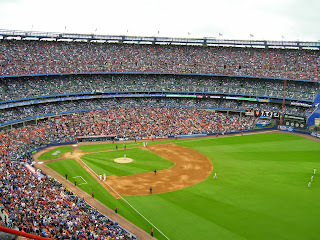 54,347 fans filled up Shea Stadium including centerfieldmaz, in anticipation of an exciting showdown. The game had been talked about & hyped up by the media, as well as the fans for days. It was no doubt the hottest ticket in town. Bobby Valentine's Mets were just below .500 (33-34) at this point & gave the ball to Shawn Estes, who had only been a Met for a few months. He was now in the spotlight on the worlds biggest stage in the middle of this madness. The Met fans outnumbered the NL New York fans & since most of the game went the Mets way, they had to take the grunt of the verbal abuse. The Shea crowd was loud as Mets fans shouted insults at Steroid abuser Clemens & his team. In the top of the 3rd inning, it all came to a head, the fans; many on their feet held their breaths as Clemens stepped in to bat, looking a bit shy & meek. You could hear a pin drop as Estes wound up & threw the pitch. The pitch went behind his back, it did not knock him down nor hit him. Most Mets fans wanted to see him lying in the dirt but it was not to be. Estes made the moment pass, some praised his effort to keep peace, even Clemens touched his helmet in a tip of the hat style gesture. Others were furious that Estes had not throw at Clemens. Most likely his team mates felt the same way, Estes was traded away two months later. In the home 3rd inning, Rey Ordonez doubled to left field to start the inning. 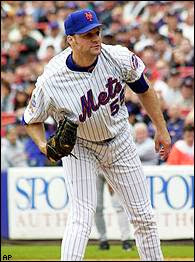 Pitcher Shawn Estes laid down a bunt down third base, on the throw to first Ordonez hustled & scored the Mets first run. In the home 5th Roger Cedeno led off with a double & Sean Estes gained some respect from the fans when he took a Roger Clemens pitch over the fence to make it 3-0. In the 6th Mike Piazza who was 0-2 at this point stepped in & blasted a Clemens pitch over the fence for another HR. 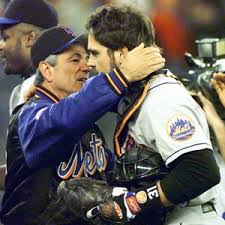 The Mets were now up 4-0 & two batters later manager Joe Torre removed Clemens from the game. The Mets fans had their moment as he walked off the field, letting him have it at the top of their lungs. Ted Lilly was the new AL New York pitcher. In the home 8th, the Mets got to Sterling Hitchcock as Piazza walked & Mo Vaughn singled. Jeromy Burnitz then singled to centerfield bringing in Piazza, as the Mets crowd roared once again. By this time most AL New York fans were long gone. Roger Cedeno singled, giving Hitchcock his exit. Rey Ordonez greeted new pitcher Mike Thurman with a bases clearing triple, capping off the 8-0 Mets romp. Shawn Estes got the win (3-5) as he allowed five hits, one walk & 11 strike outs over seven innings. Scott Strickland & Mark Guthrie closed out the last two innings. Clemens took the loss (8-3) allowing four runs, six hits & a walk in 5.2 innings. Lilly, Hitchcock & Thurman finished it up. Burnitz, Dedeno & Ordonez all had two hits each, with Piazza Vaughn & Estes collecting one hit each. Piazza & Estes had the big blows with the HRs.